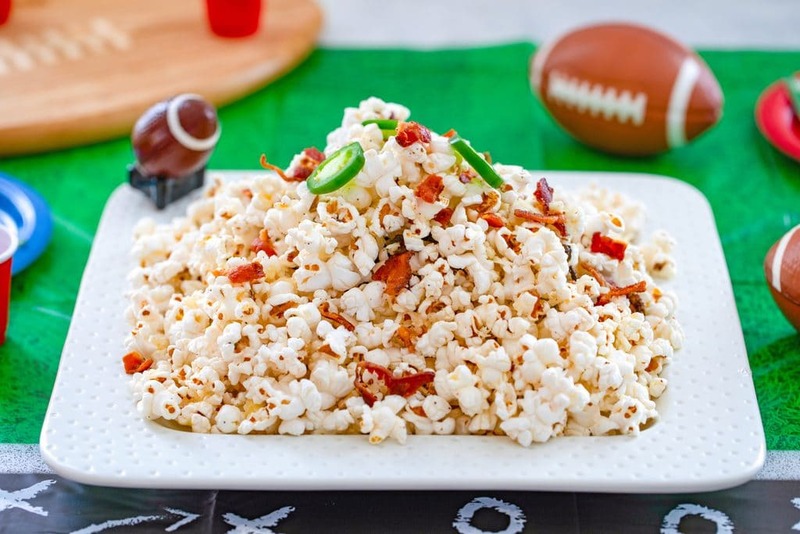 This Bacon Jalapeño Cheddar Popcorn is the perfect football watching party snack. It’s a little bit spicy, a little bit cheesy, and packed with flavor! Thank you to Febreze for sponsoring this post. As always, all opinions are 100% my own and I really appreciate you supporting We are not Martha! Who else is crazy excited for Sunday’s Super Bowl?? It always helps when your home team is playing in the game (and yes, I’m pretty lucky that my home team plays in the Super Bowl A LOT), but most people I know are mainly excited about the Super Bowl for the chance to hang out with friends and eat delicious party food. 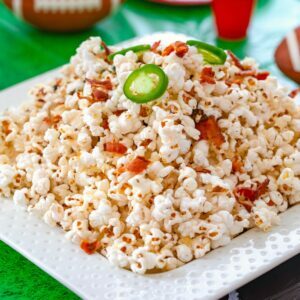 I’m thrilled to be working with Febreze today to talk about my Super Bowl party tips and necessities… And to share this delicious recipe for Bacon Jalapeño Cheddar Popcorn. You may remember that I worked with Febreze once before to share my tips on getting that icky oil smell out of your house after frying foods like donuts. I love making homemade donuts, but absolutely hate when my house smells like oil and am thankful to Febreze for rescuing me! And while I do enjoy some food smells, the last thing I want is to have my house smelling of anything overpowering when I’m about to have people over. Talk about a party mood killer. Don’t get me wrong, I love bacon and popcorn, but whenever I make them, the smells can last in my house for days (don’t even get me started on what happens if I accidentally burn the popcorn). 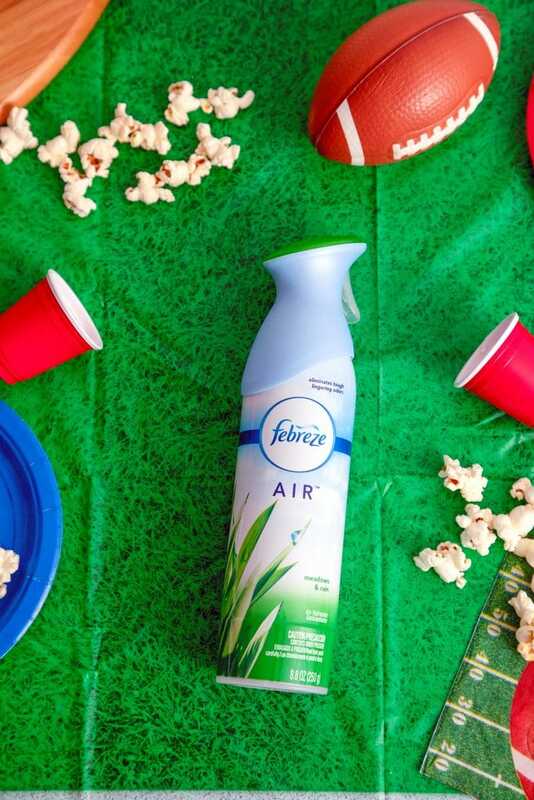 Luckily, Febreze is the odor-eliminating MVP of any party! Febreze just launched this hilarious video starring Terrell Owens. 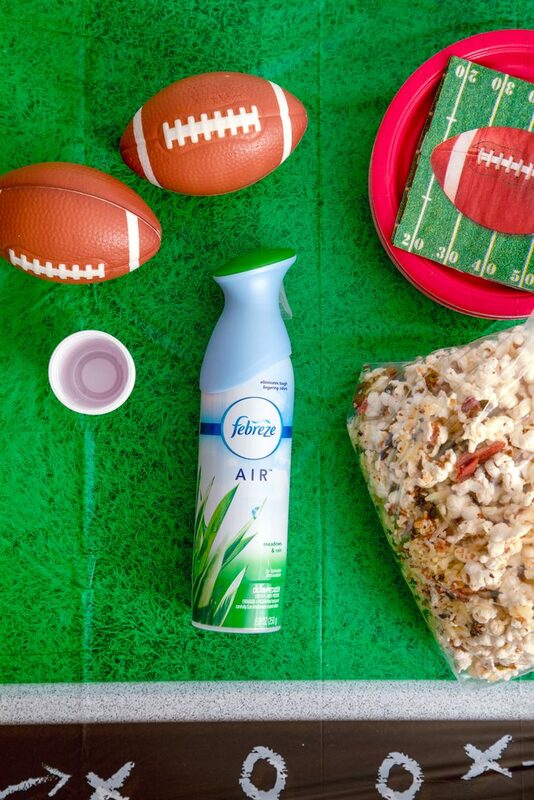 And it definitely highlights the importance of including Febreze in your Super Bowl party plans! One of my favorite things about Febreze is its OdorClearTM Technology, which cleans away odors in two ways: It seeks out tough odors and cleans them away by deactivating and replacing them with a light, fresh scent. Febreze AIR actually contains odor trappers, odor converters, and odor neutralizers, plus continuous scent. That means that it doesn’t have an overpowering fragrance that just covers up the odors (I absolutely cannot use air fresheners that do that!). 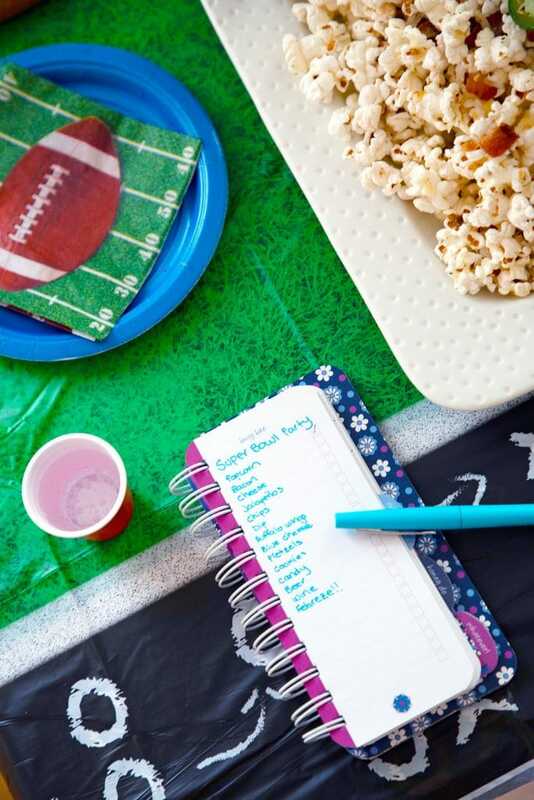 If you’re planning a Super Bowl party of your own, I have a few tips to share! 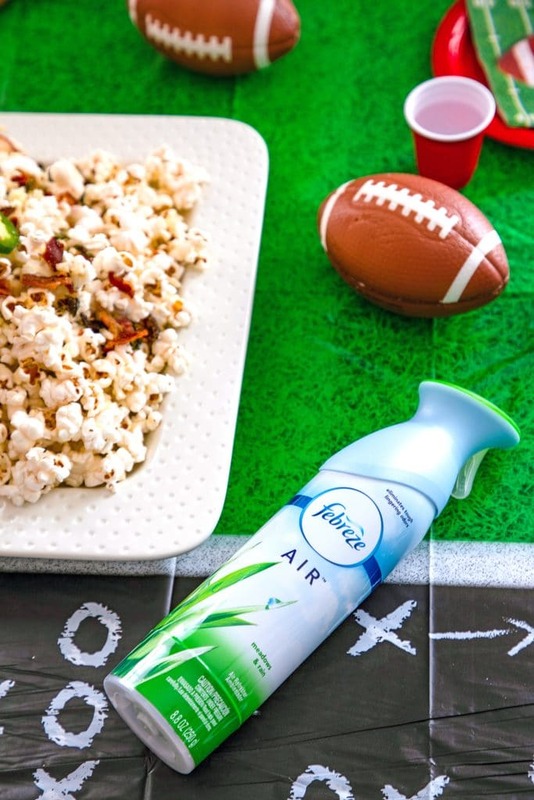 Don’t let Febreze be late to the party: When you’re finished cooking and just before your guests arrive, spray your favorite Febreze AIR around your kitchen, bathrooms, and TV-watching area. It will help get rid of all those lingering food odors from the cooking and party prep you’ve been doing. Don’t get too gourmet: Let’s face it; people go to Super Bowl parties looking for football food and aren’t expecting a four-course dinner or anything too complicated. Stick to simple foods like nachos, dips, and, of course, popcorn. You know, the foods that everyone loves! Finger food is the way to go: Chances are, your guests will be huddled around your TV and lounging on your couch; not exactly the best atmosphere for any foods that require a fork and knife. Little appetizers that can easily be picked up and enjoyed are always best. Keep Febreze on hand during the party: As mentioned in the Terrell Owens video, it’s always a good idea to keep Febreze in your bathroom. Let your guests use it as necessary! Consider the mess: Going along with the above point, consider the mess as you plan. Buffalo wings are delicious, but buffalo sauce all over your white couch is anything but. If you’re going to serve messy foods, make sure to supply plenty of napkins. Annnd probably don’t have a white couch. Save room for something sweet: It’s easy to be so focused on the appetizers you’re going to serve at your party that you forget that a lot of people like to finish the evening with something sweet. Either the team they’re rooting for will win and they’ll want to celebrate or the team they’re rooting for will lose and they’ll want to eat their feelings. Incorporate Febreze into your cleanup: When all of the commercials have been watched and your guests are gone, clean up all the leftover food and be sure to use Febreze again. You’ll be happy you did in the morning! As I mentioned, I like to keep things casual when it comes to the Super Bowl, so my shopping list covers the basics… That includes the ingredients for this bacon jalapeño cheddar popcorn, lots of chips, dips, cheese (for nachos and a cheese plate), buffalo wings (don’t worry; my couch isn’t white! ); drinks for all, a couple of sweet treats, and obviously Febreze. Low stress and high happiness. OK, let’s talk about this Super Bowl party recipe now. I love serving popcorn at football-watching parties because it’s perfect for snacking on. But I wanted something more exciting than the typical buttery popcorn. Bacon, jalapeño peppers, and cheddar go so well together and I knew they’d be delicious on popcorn. I decided to roast my jalapeños to remove a bit of the heat and make them totally munchable. I simply tossed jalapeño rounds in some olive oil with garlic powder, salt, and pepper and roasted them for 15 minutes. The results were awesome. All the jalapeño flavor with some crispiness, and barely any heat. And that was with the seeds left on. You can remove them if you want even less spiciness. I air-popped the popcorn, but you can also feel free to use plain microwaveable popcorn, too. And then tossed it with the roasted jalapeños, crumbled bacon, and shredded sharp cheddar cheese. Easy and delicious; exactly what I like when it comes to Super Bowl party food! You can serve this bacon jalapeño cheddar popcorn in a big bowl or platter or you can re-distribute it into smaller bowls to keep in different spots in your TV room or kitchen. Either way, it’s the kind of snack your guests will keep coming back to. Yes, when I was done cooking this, my kitchen smelled like a mixture of bacon and popcorn (and oil from popping the popcorn), with a little spicy kick mixed in. Lovely! But nothing a little Febreze couldn’t help. And my house was smelling fresh and company-ready again in no time. And after the Super Bowl, when my guests have departed and all of the food is packed up and put away (there’s something extra delicious about party food leftovers! ), I’ll be using the Febreze again. There’s nothing quite like waking up the morning after a party and having a super clean and fresh-smelling house. Especially when that party happens to be on a Sunday night. And often goes ridiculously late. And with that, I say go Patriots!! But also, please still love me even if you don’t love the Patriots. This popcorn shows no team allegiances and can be enjoyed by all, win or lose. Are you cooking any “smelly” but delicious foods for Super Bowl Sunday? 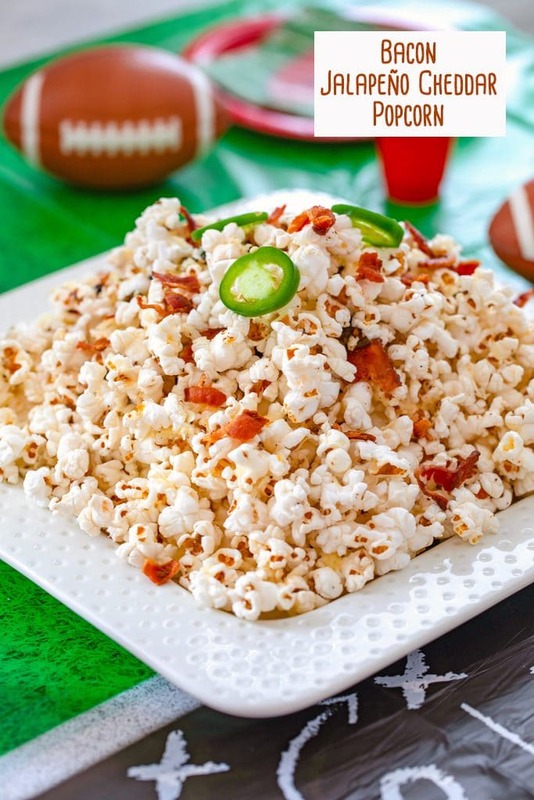 This Bacon Jalapeño Cheddar Popcorn is the perfect football watching party snack. It's a little bit spicy, a little bit cheesy, and packed with flavor! In a small bowl, combine sliced jalapeño peppers, olive oil, garlic powder, salt, and pepper. Toss to coat jalapeños. 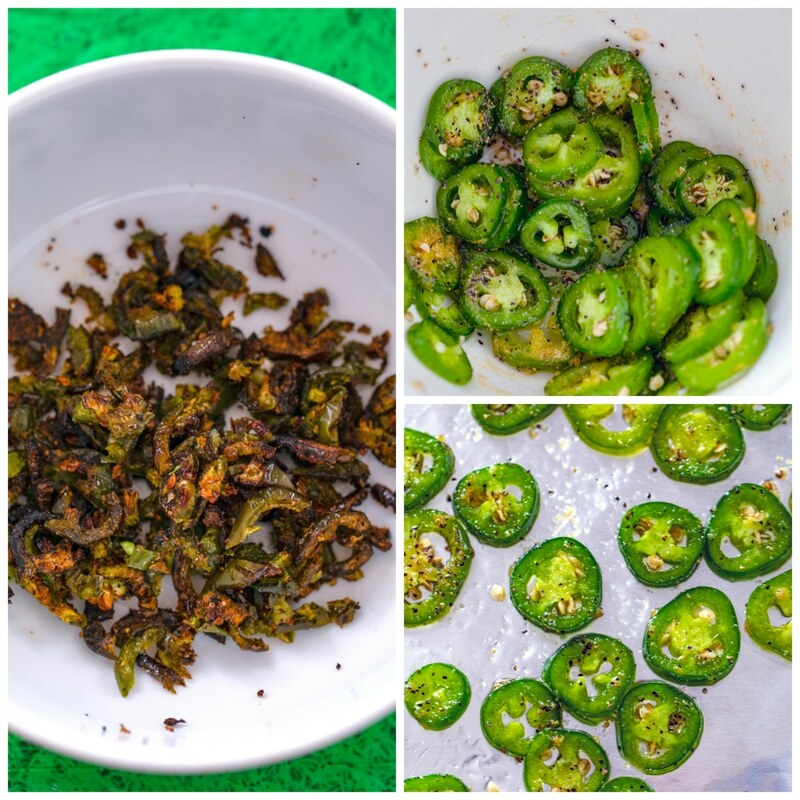 Lay jalapeño pepper rounds on a foil-covered baking sheet and bake for about 15 minutes, until peppers are crispy. Let cool for a bit before putting peppers on a cutting board and chopping. Put canola oil and popcorn kernels in a large pot over medium-high. When the first kernel pops, cover the pot and start vigorously shaking the pot back and forth, keeping it on heat. Once popping slows, take pot off the heat and remove cover. Put popped popcorn in a large bowl. Add chopped jalapeños, crumbled bacon, and shredded cheddar cheese and toss together. Taste and add additional salt as desired. 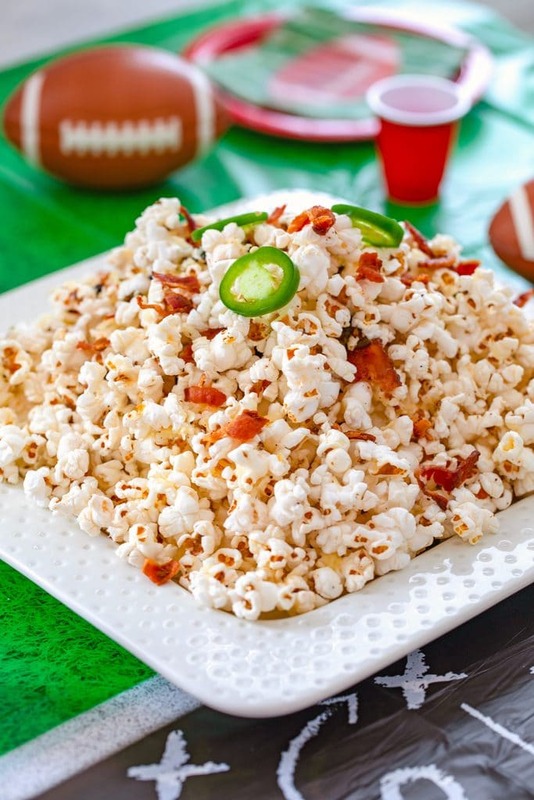 5 Responses to "Bacon Jalapeño Cheddar Popcorn"
I want to be eating this popcorn RIGHT NOW. It sounds incredible – the perfect party snack! Can’t wait to try this new combo of popcorn for game day! Have never thought to make it spicy! This came right in the nick of time! Super Bowl Sunday is right around the corner! This will be gone in no time! I don’t even have to have game day to enjoy this!! YUM! Oh wow, that is the way to eat popcorn! I need double bacon on mine, please!